Most successful innovations are those that find users around the world. This is not just a ‘nice to have’ – it is actually the very foundation of a prosper society. The World Innovations Forum logo describes the most important aspects of innovation over time. 1) The innovation creation and production part. * The government that provides an innovation friendly infrastructure such as education / universities, innovation friendly policies, innovation friendly taxation. * Enabler, providing co-working spaces, Telcos providing high speed Internet, Menors and former entrepreneurs providing advice, Universities providing entrepreneurs programs and top level subject matter specific education. * Talented workforce that can produce the innovative solution, in time with quality and at reasonable cost. * An open minded society that is actually using the new products, provide feedback and supports their innovation heros. * Export organizations, distributors and dealer networks that bring those solutions into the respective countries. Also those nations and their society will benefit from the innovative solution. The will contribute the biggest part of the revenue and with it profitability and prosperity in the country of origin. Analyzing key drivers for prosperity we could boil it down to one value: Export Volume. 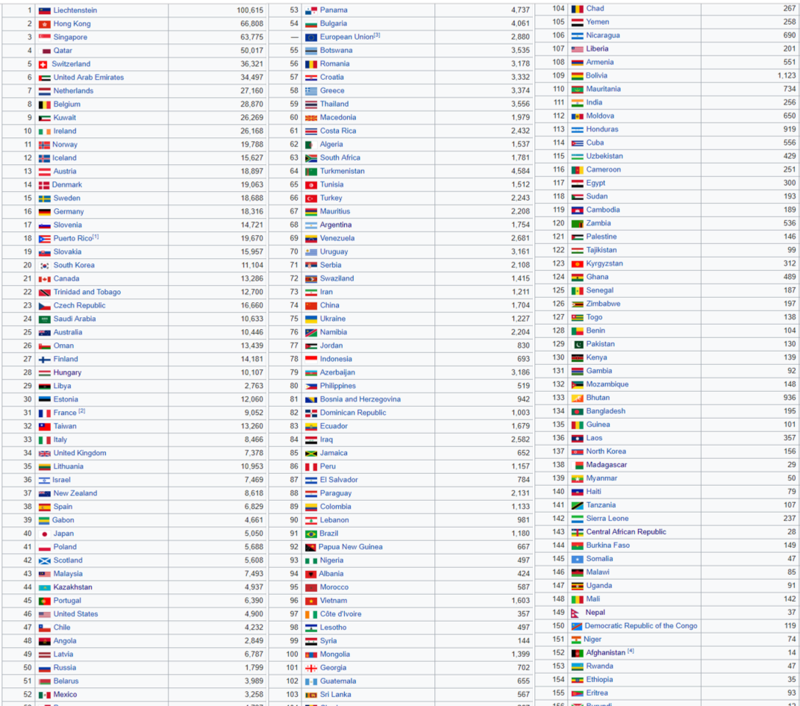 Export-Volume per capita is an amazing list to verify that thinking. Prosperity of a whole population is in direct correlation with its export power. Reports reference: Wikipedia – click the image to visit the site. Innovative products are typically new or significantly improved products with a higher value to customers compared to all other products available at that time. However, an innovative business model that offers a product in a very different, much improved way, making it easier to buy, service, getting support etc. is often referred to as an innovative product or solution as well = even though the physical product may not be much different from others. Significant improvement is the key to innovation. While any significant improvement is considered an innovation, a disruptive solution, is an especially innovative product or business model. Disruptive products or business models do not only ‘improve’ what;s out there but radically change the market and the way solutions are applied and used. The automobile, airplane or ready-mix concrete changed everything in their specific industry. So did Uber, AirBnB, Yahoo and others. 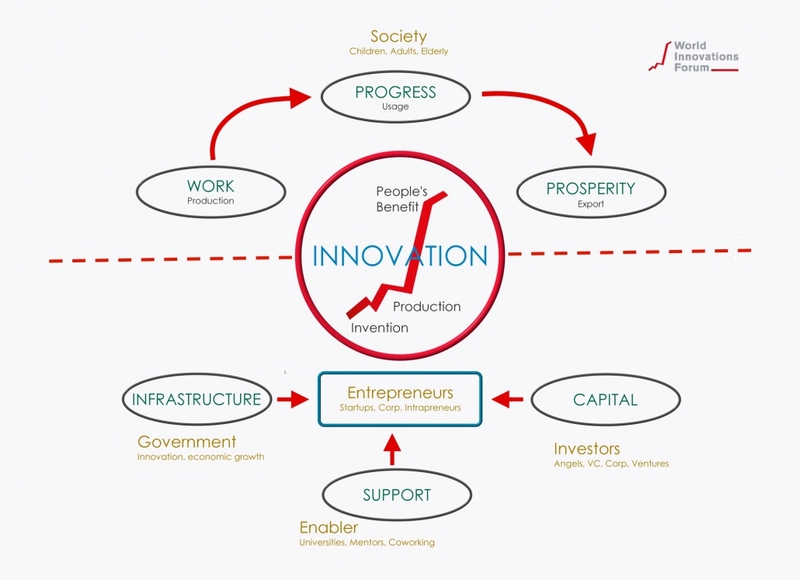 1) Bringing the innovation to many people around the innovators vicinity or city, is creating a first value level. The first value level maybe able to feed the inventor and may contribute a bit to the respective city. We call it local value. 2) Can the innovation be sold nation wide, it is reaching the second value level. In this case not only the local people benefit from the innovation but a whole country. The monetary value to the business grows and also the tax income for the region the innovative business is registered. This considered innovation of national value. 3) If said innovation can be exported into other countries we see it as the third value level. Now people from around the world can benefit from the innovation, improve their work or have other benefits or just fun. At this stage the monetary value grows exponentially. This global value helps a companys to grow to a significant business and also adds significant tax income to the country the company is headquartered in. Going global is not only a huge success factor for the company but for the region and the entire country. Businesses need to ensure an uninterrupted stream of communication and branding in order to see a sustainable flow of business from around the world. Whether it was the German invention of the Mercedes Benz automobile over 100 years ago, the US Google search engine little over 2 decades ago, the yet engine invented in France, the Italian espresso machine, or the chinese gun powder or the Japanese HDMI connector all these products provided an initial export boost. Comparing the first two examples with the other examples it becomes apparent that Mercedes and Google are engaging relentlessly in branding and communication. Car patents have long expired but their branding effort never stopped. Yet engines are built by many manufacturers around the world and the same with Espresso machines, HDMI adapters, and countless other products invented anywhere in the world. Sustainable prosperity is rather closely connected with the ability of a company to continuously communicate their brand and work uninterruptedly in exporting their products.